When you partner with Millennium Maintenance and Power Sweeping you get access to a fleet of 100 modern sweepers including: regenerative air sweepers, vacuum sweepers, mechanical broom sweepers, and waterless and dustless sweepers. 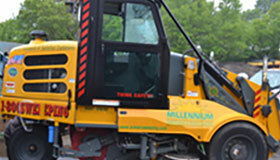 From parking lot litter to porous pavement – whether low clearance garage sweeping and scrubbing – heavy construction sweeping, milling ,trash removal, you will find Millennium Maintenance and Power Sweeping has the right street sweeper for you. 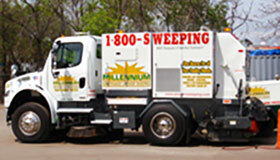 At Millennium Maintenance and Power Sweeping you will find the most environmentally friendly sweepers available on the market. Whether your needs call for hydraulically powered, propane powered or PM10 certified to meet storm water runoff regulations; Millennium Maintenance and Power Sweeping has an environmentally friendly solution to serve you. When your litter control is done by Millennium Maintenance and Power Sweeping rest assured the sweepings will be handled properly. At our modern, two-acre recycling facility, we recycle over 75% of our waste.  We always use biodegradable cleaning products that meet the EPA’s Green Seal Standard.